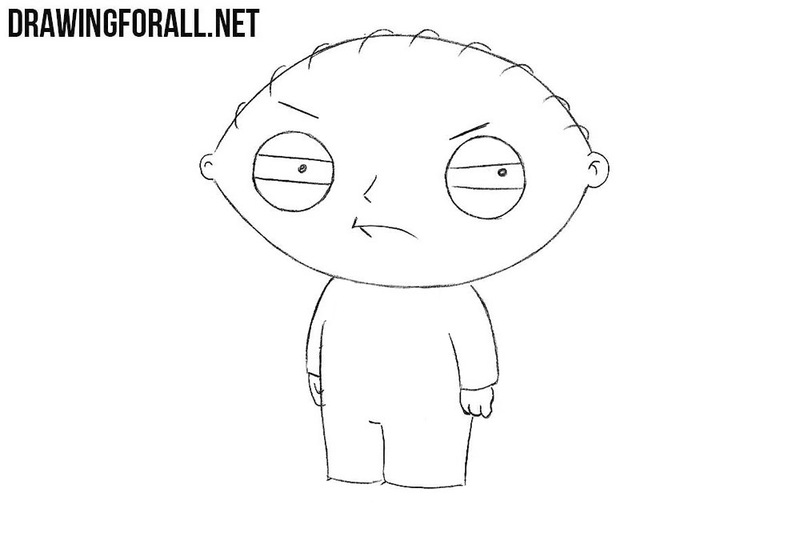 Who is the most charismatic and interesting character from the animated series Family Guy? 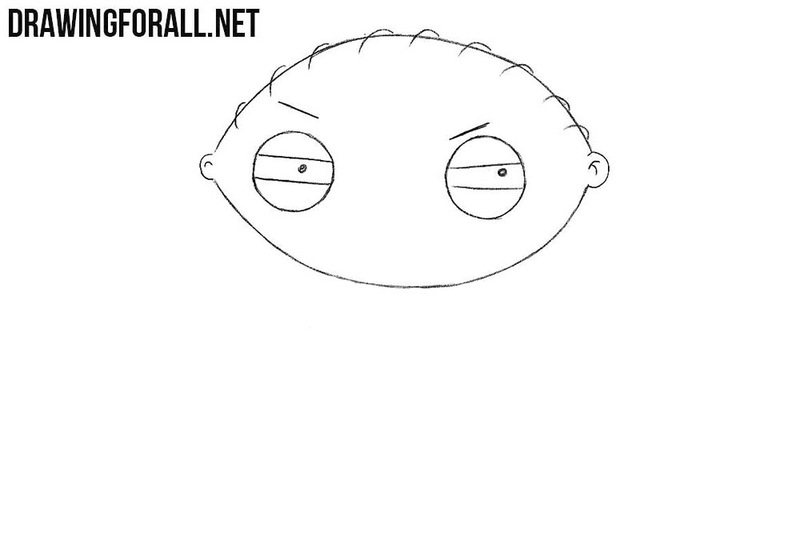 We think it’s Stewie Griffin. 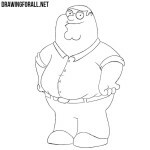 As you know, this is the character of the animated series “Family Guy”, a phenomenally gifted one-year-old child, son of Lois and Peter Griffin. We have already drawn these two characters, and now is the time to learn how to draw Stewie Griffin. 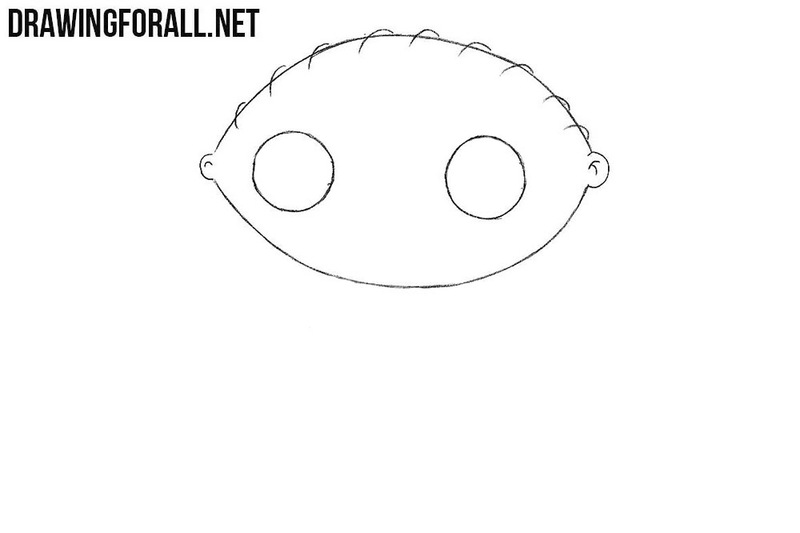 First of all sketch out the outlines the very strange and unusual head of Stewie, similar to a football ball. Next sketch out small ears on the sides of the head. Now with the help of two large circles draw out the eyes and with the help of curved lines draw the rare hair on the head. Using straight lines, we draw eyelids and eyebrows over the eyes, using simple dots draw the pupils. A very simple step in which we draw out a small pointed nose and characteristic mouth of Stewie Griffin. Another very simple step in which we draw out the outlines of the shoulders and small arms. We continue the line of the torso and carefully draw the legs. 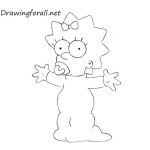 Then draw the palms and move to the next step. 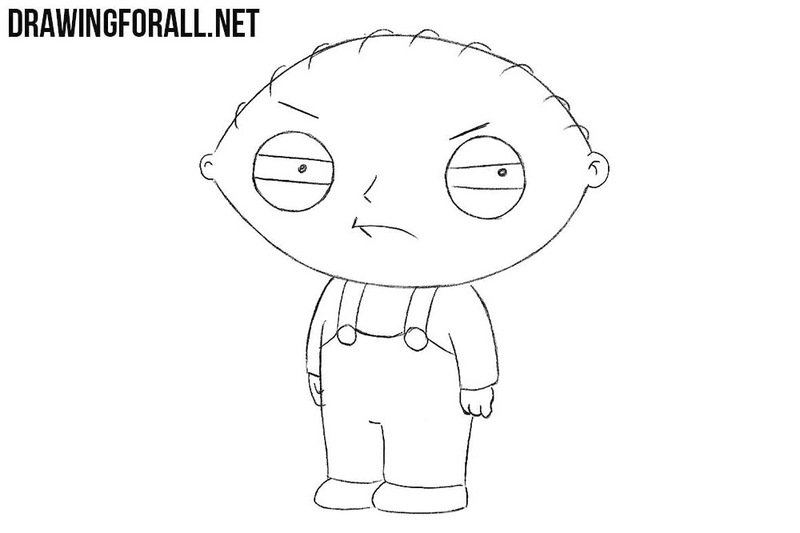 In the last step of the tutorial on how to draw Stewie Griffin we draw the contours of the clothing and shoes. 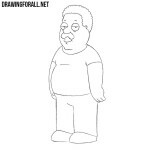 It was a lesson about one of the most famous and favorite characters from the series Family Guy. In order not to miss new lessons about the characters from this and other animated series, subscribe to us in social networks and visit our site as often as possible (preferably every day).